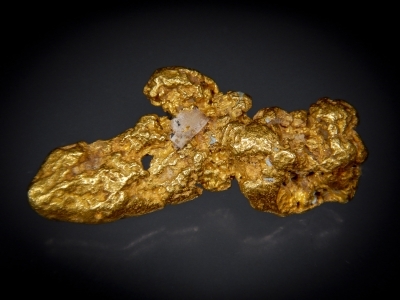 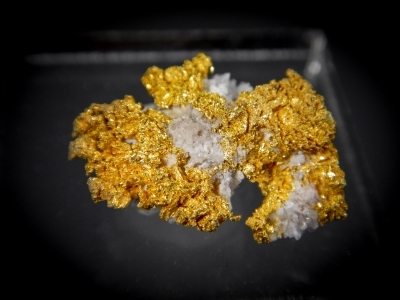 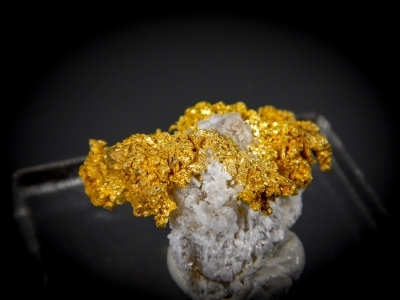 A group of golds and other minerals that won't break the bank. 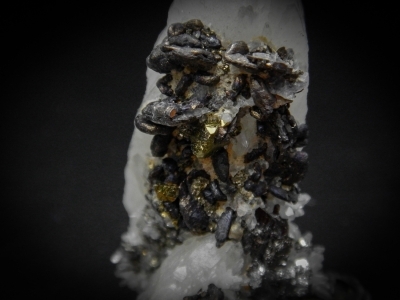 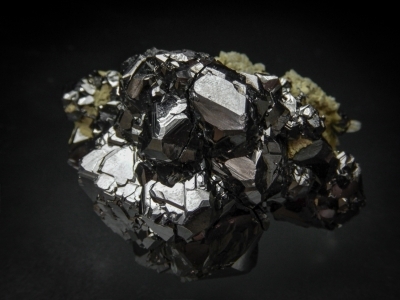 Nice cubic silver crystals with pyrite on quartz from Arizona's most famous silver mine. 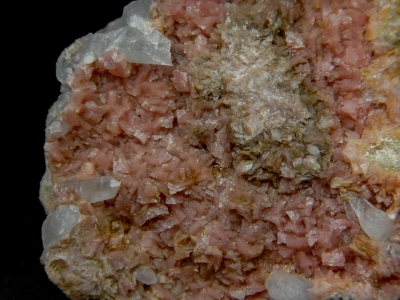 Exceptionally well formed red translucent Xanthoconite growing between barite crystals. 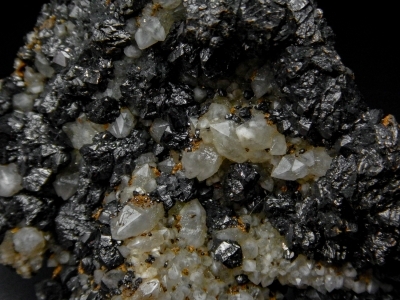 Also ingrown with barite are larger masses of galena. 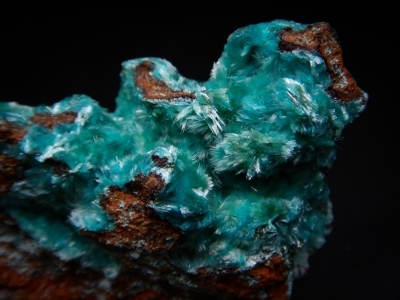 An exceptionally colorful Aurichalcite from the Ojuela Mine. 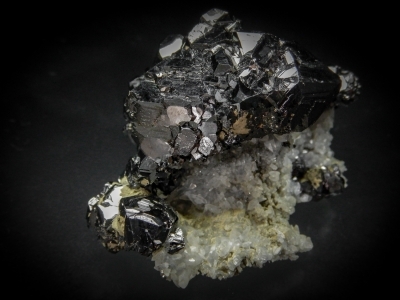 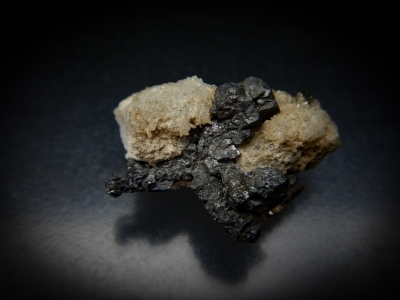 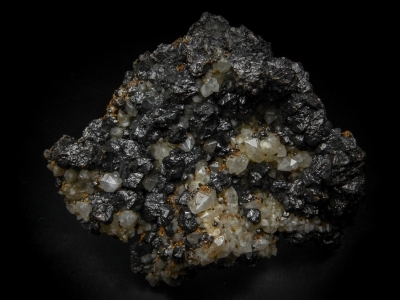 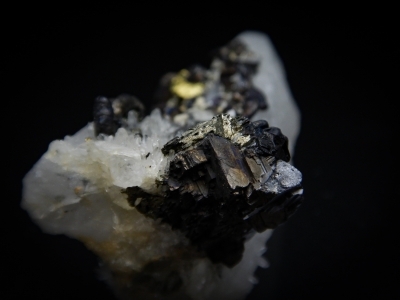 A well formed elongate single pyrargyrite crystal. 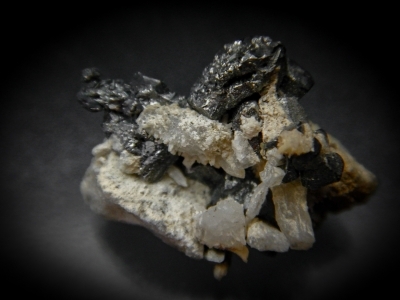 Black jack sphalerite crystals on quartz epimorphing fluorite. 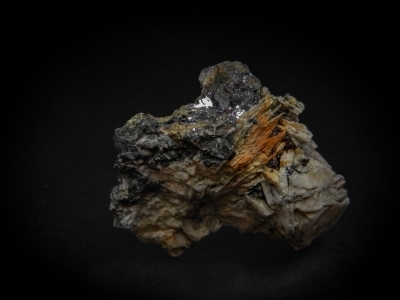 The backside of this piece (where the fluorite was) now has smaller fluorites coated by siderite and tiny clear fluorites. 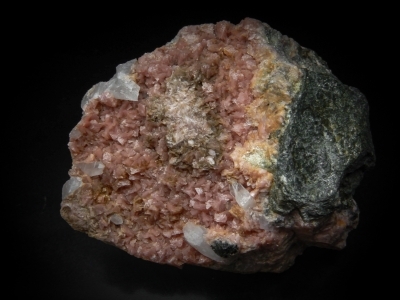 An unusual locality for the rhodochrosite collector. 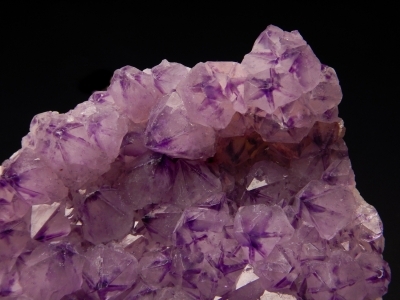 These rhodos resemble materital from Butte, Montana. 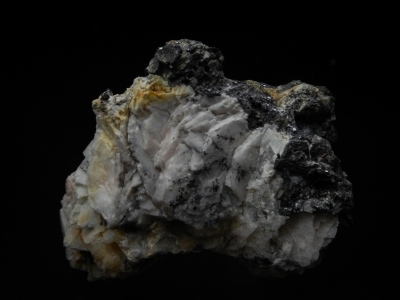 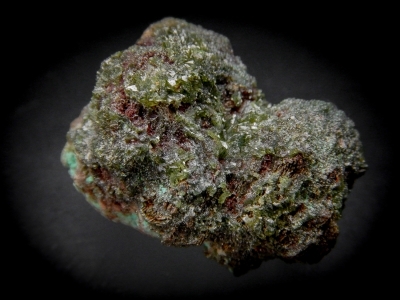 An unusual but exceptional pseudomorph from the locality famous for Szenicsite. 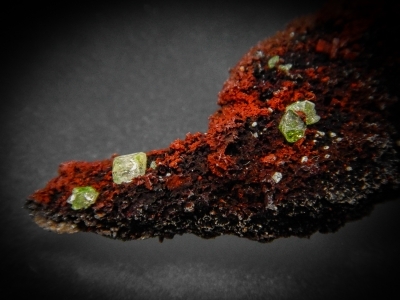 Copper inclusions in these anglesites yield a pleasant. 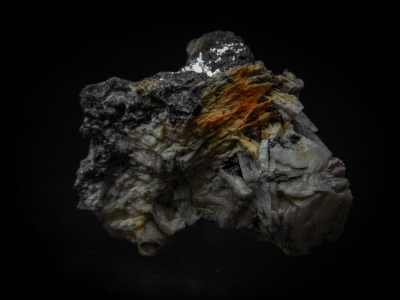 This is a floater specimen. 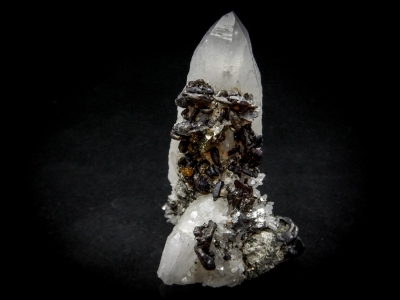 The crystals have better transparency on one side. 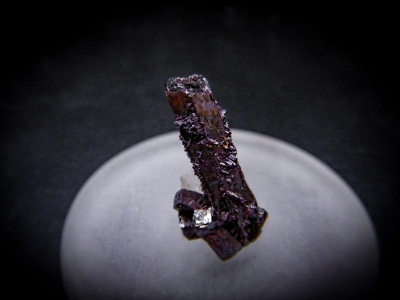 An unusually formed specimen. 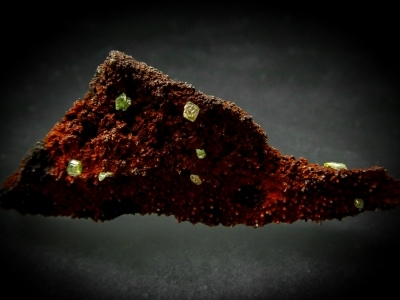 The sphalerite looks like a cap perched on top of the quartz-hedenbergite/actinolite matrix. 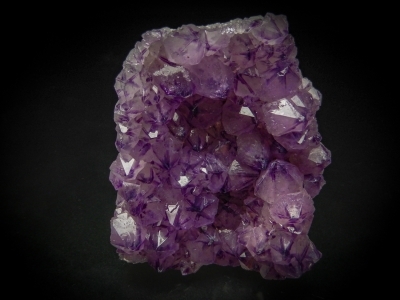 Color zonation in this specimen yields an unusual radiating star pattern. 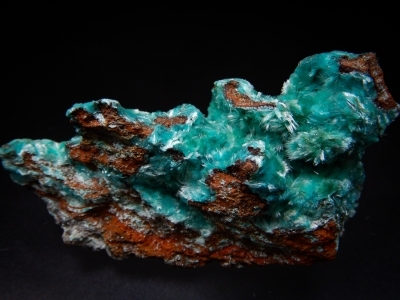 The color saturation is much deeper than normal for the mine. 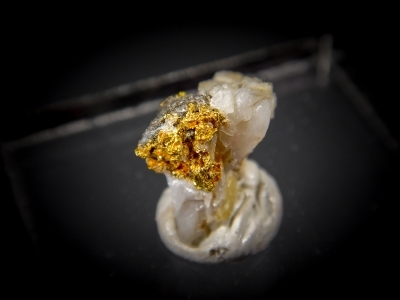 One rarely sees small samples from the Eagles Nest Mine, but they do exist. 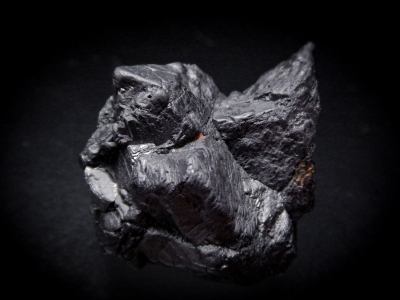 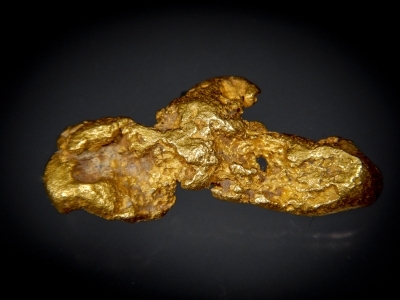 A semi rounded nugget with nice elongate form.